I am working on a project where I need to reduce the thickness of my stock, currently my stock is 1.850" in thickness and need to reduce it to 1.600. Any advice about how to remove this material more efficient? I don’t have a planer or other power tools for this and I am not sure how hard would be for my Shapeoko XL to complete this job, I am planning split the job in 2, first one side and then rotate to complete the other part. 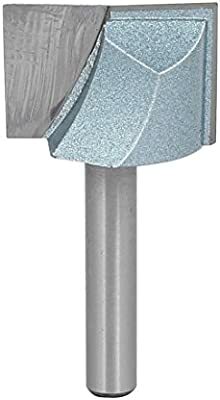 Would appreciate any recommendation of endmills, my router is a Dewalt planning to use the carbide #201 endmill for this, unless someone suggest a better candidate. You should be able to do that — I’d suggest removing 1/8" from one side and flipping and removing an equal amount from the other — the challenge of course is the workholding – might need to make multiple passes in sections on a side after adjusting clamps. Just make sure the router is plumb and square and the wasteboard is trammed first — might want to mill a pocket to place the board into. I’d consider investing in a bottoming bit. The cheap ones are not the best you will ever get but will do the job for spruce/wood. It will also let you face allot quicker. This is what I found, I am not sure if these are good options for this job? Perfect for making dado grooves to fit undersized 3/4" plywood panels. 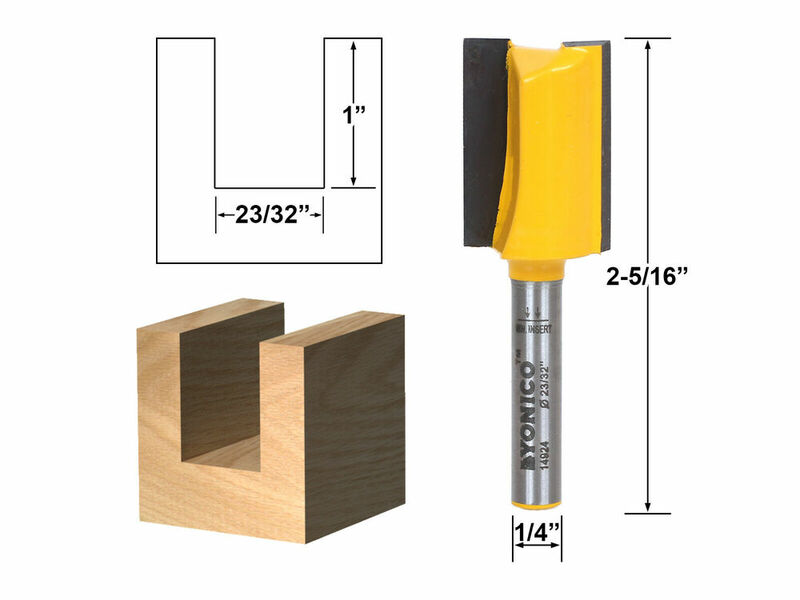 Undersized plywood dado bits are designed to cut grooves that match the actual thickness of popular plywood sizes. Flute Angle. | eBay! I avoid most things uxcell, but Roman Carbide seems to have decent stuff, and this is the one I have. 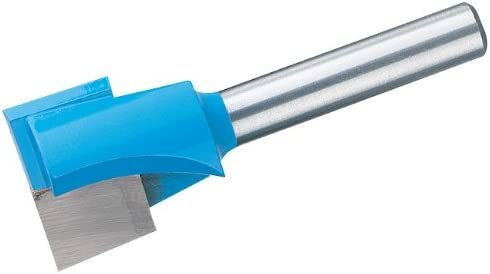 Depending on your requirements for the final finish, a plunge router bit can also be used to thin the piece (3/4" or 1" diameters). If you are using Fusion 360 then you will need to create a new cutter under the CAM section and use it in a 2D Surfacing operation. Creating a new cutter definition can be done with calipers and recreating the profile under this section. Then use that in Fusion 360 to generate tool paths, and then POST it. I will get one of those, I will be doing this process more than once, so investing in a good tool for this project seems to be a good idea. I will try to use Carbide Create if possible, I use Fusion 360 as well but I am still in the learning curve and feel more comfortable using CC. After reducing the thickness will do a 3D carve using F360 involving a 2 side carve, it will be a big challenge for me to complete this project, I am planning to use 2 pins to flip the stock and try to keep my 0 in the same place. Jaime, I usually recommend 3 pins for alignment. It all depends on what you are making. Maybe 2 pins are enough for your project. I wish you good luck and hope you can learn more. Will consider 3 pins though. I use a .500 dado bit like @JaiFlors first pic.It works pretty well. I make a pocket program with an offset that is larger than my stock size so I get full coverage. Make sure that you are not plunging deeper that the flutes are extending or the bit center will stop z travel. I do 0.125" steps max. It would be better if we could force an edge start, but I haven’t figured that one out yet.